Joel and Ana Schrader return home after investing many year in Spain. 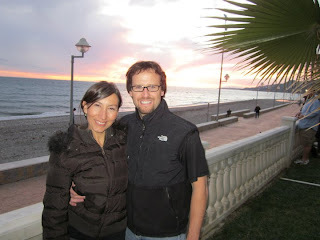 Joel arrived in Spain in 1999 and four years later Ana joined him. Without a doubt, the chapter of life that they have invested in our country has yielded much fruit. Just this morning, they boarded the plane that will take them back home. All of us will miss them greatly: Joel, Ana, Olivia and Isabella. We love you guys. Thank you for all that you have given us and all that you have left for us.